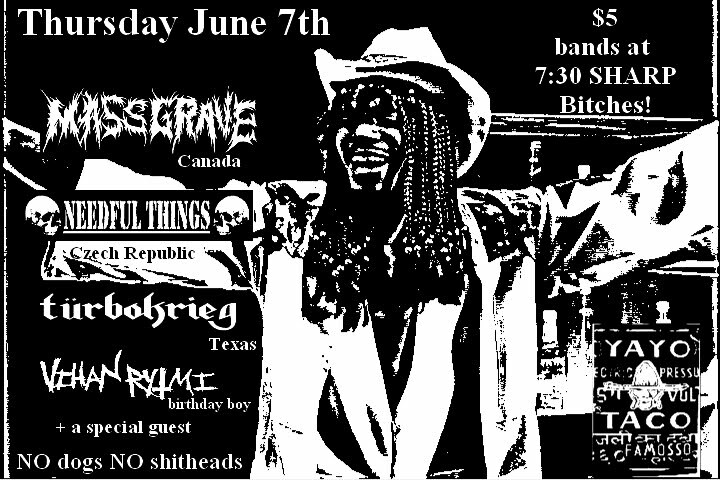 Thank you to EVERYONE that made our show with Massgrave/Needful Things/Turbokrieg awesome. we really appreciate those of you that support your scene. The rest of you knuckleheads that just kicked it outside the whole time get with the program bands won't come back if you don't support them by paying the measly 5$ cover charge and watching them play! that aside we are playing again on June 30th @ The Bunkhouse Saloon with The Casualties and Lower Class Brats......this should be really interesting. we MIGHT end up playing the Wartorn/In Defence show. stay tuned. 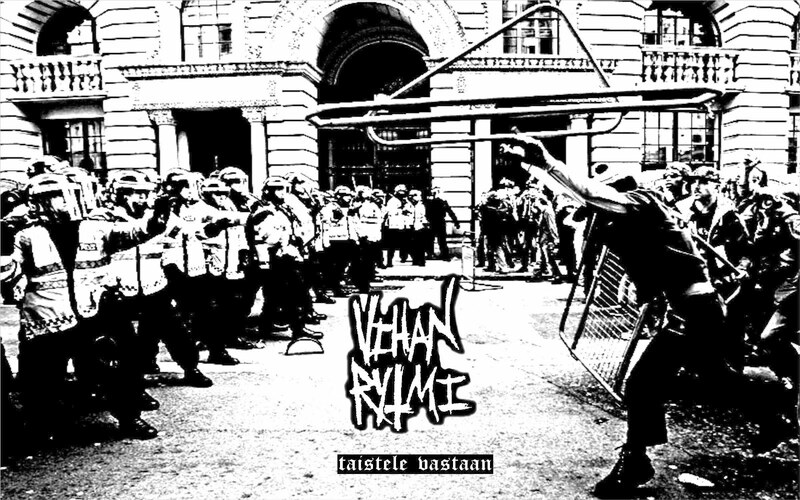 Welcome to the new home of all things Vihan Rytmi.